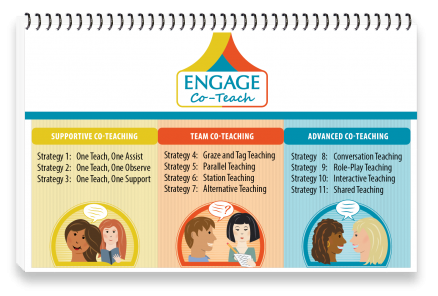 Co-Teaching is defined as two certified teachers working together with shared responsibilities in a classroom with groups of students. 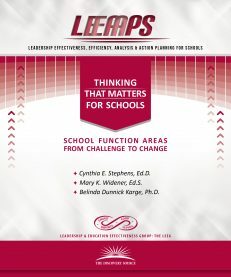 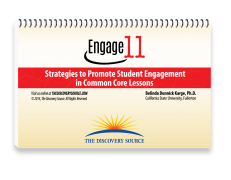 This teaching tool offers eleven effective, results-based best practices for co-teachers to succeed, both with each other and their students! 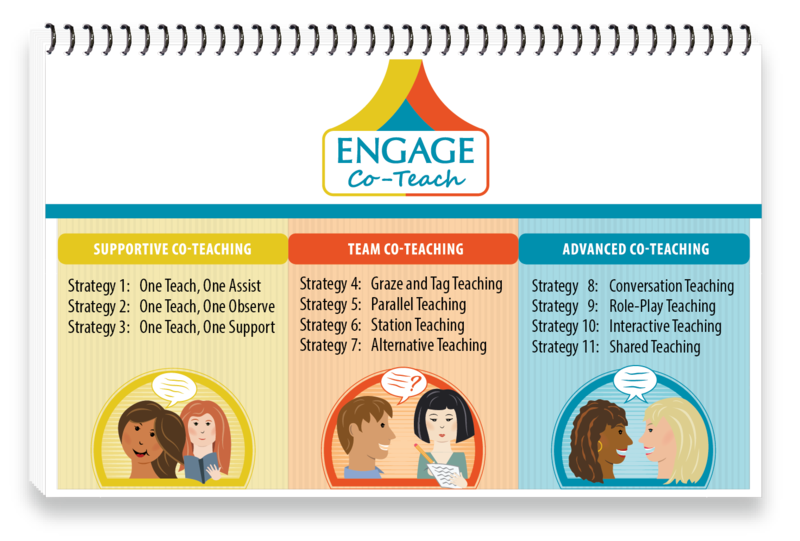 This easy-to-use, nicely laminated classroom resource provides a framework of co-teaching strategies organized into three categories – supportive, team and advanced. 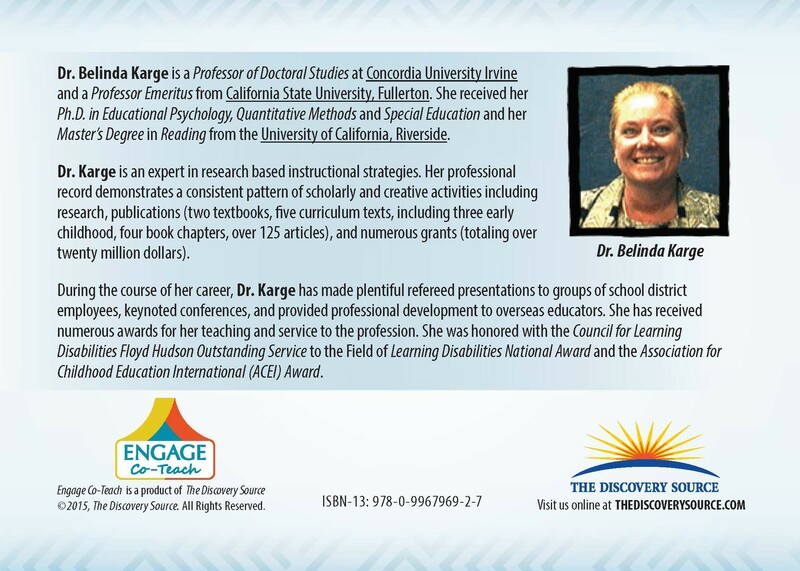 Developed by Dr. Belinda Karge, these strategies will help guide your co-teaching efforts with insights developed from over twenty years of educational research and multiple co-teaching engagements. 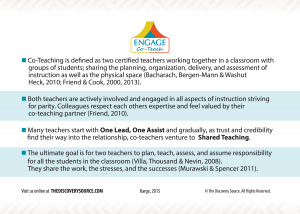 What’s Engage Co-Teach all about? Click the Image Above to Learn More About Engage Co-Teach’s Strategies! 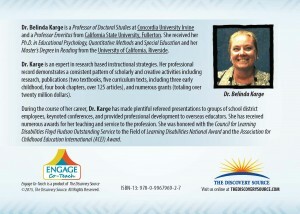 One Teach, One Assist Strategy! 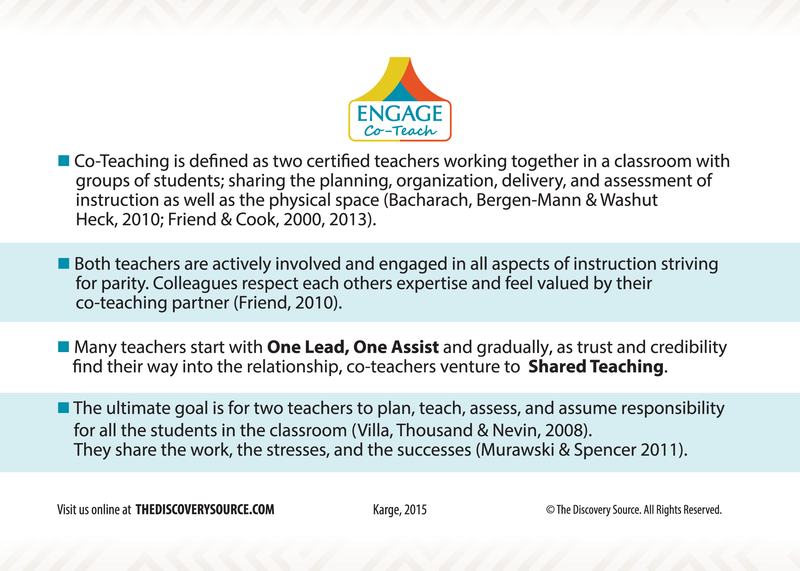 Click the Image Above to Learn More About Engage Co-Teach’s One Teach, One Assist Strategy!